I've come to the realization that I need prescription glasses. This isn't news to me since I already have a few lying around collecting dust in some drawer, hidden well enough for me to not even look for them. I need them to read, to watch TV and most importantly when I'm on the computer (that's pretty much all the time). Since having my son last year, I've noticed that my eyes have aged quite a bit and I'm finally ready to get some eye wear back in my life! Glasses are ridiculously expensive (to which I still can't comprehend) and I am known to lose a few from time to time. This is why I swear-off buying expensive glasses. I just need them to help reduce the sun glare in my face while I'm driving and help me not see blurry when I'm typing. 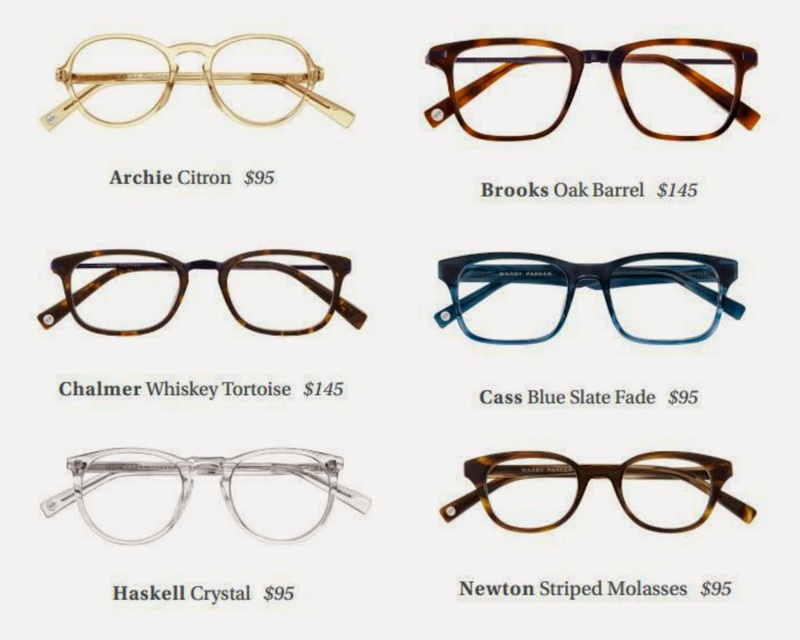 This is why I am drawn to Warby Parker. By circumventing traditional channels , designing glasses in-house, and engaging with customers directly, they are able to provide higher-quality, better-looking prescription eyewear at a fraction of the going price. If you are on the hunt for some new glasses, you need to check out them out. They just came out with eight new shapes and six new colors and added depth (literally). Classic at first glance, but look a little deeper and you’ll discover nautical design details borrowed from the open sea: anchor-hued titanium blended with blue coral acetate, sandy shades modeled after rippled ocean floors, saltwater matte finishes, jellyfish-inspired tortoise, and more—including a handful of solid standbys. In addition, just like all of their existing collections, for every pair sold, they distribute a pair to someone in need through their non-profit partners. Here's just a few from their new collection. I use contact lenses but I always need to have a pair of glasses. I love the second ones.